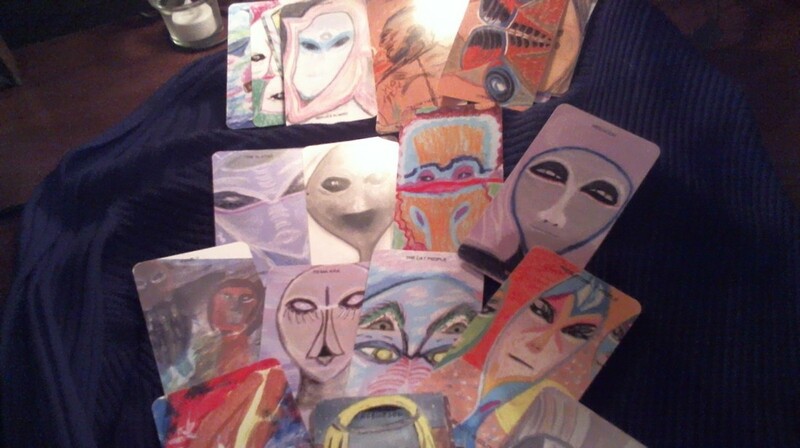 "All Connected" their message, "Complete"
Deck of Extraterrestrial Message Cards. Thirty-seven original, out-of-this-world artwork with star family race or theme name and message. Contact me to order your deck! Deck alone is $20 plus $3 shipping/handling. More images of the cards. "To Ma Kra" - their message, "Instinct". "Energy Beings" - their message, "Power".